All shipping policies are listed here — in great detail, to avoid any confusion or frustration. We hope that you take the time to read this page, as you should know exactly who you are dealing with when you shop online! ***Always remember to check your "Customer Service Notes" by clicking on your name in the upper right once logged-in. This is how we will communicate with you if need be! Absolutely *FREE shipping on virtually any order over $25.00! You are offered that option when you check out. Other options include 2-day and Overnight, and of course there is a charge for those. If your order is below that level, there is a $5.95 shipping and handling charge. See below for more details. Orders are shipped "best way" the day of or the day after you place the order. If there is any delay in shipping, we will alert you via e-mail and via your order notes in your customer profile as soon as humanly possible. "Best way" simply means that it will be shipped via UPS Ground or via U.S. Postal service, whichever is most convenient for the item(s) being shipped and at times the total $ amount of the order. If shipping is to be delayed for any reason, we will alert you via e-mail, and we will update your "Order Notes" in your customer profile, as soon as possible. We try our best to do so within hours during the business day and by 11:00 a.m. EST on "afterhours" or Sunday orders although this is not set in stone. Free shipping applies to orders shipped within the Continental United States, shipped via USPS 1st Class or Priority. For shipping charges on all other destinations, shipping charges are declared at the time of checkout. Some items may require a shipping charge and those will be listed in the product description along with the price that we charge to ship them. Over-sized or super heavy items may just be too expensive for us to absorb. This will automatically be calculated into the online invoice as it is programmed into the items description and details. We will not surprise you. If we find that an item, say a special order not posted on the site, requires shipping charges, we will always communicate and confirm the additional charge. We DO NOT charge you shipping on back-ordered items nor will we tack on a shipping charge if a back-order brings you below the $25.00 mark. Oversize items and other oddities may require shipping charges and we will let you know via e-mail after receiving your order. This is rare but does happen from time to time. We won't surprise you! Shipping charges on a returned item(s) cannot be reimbursed unless it is being returned due to a mistake on our part or the item(s) was defective in some way. Please see our Return policy for more details. Any shipping charges paid at the time of order can and will be refunded along with the returned merchandise. As a side note on the SALE issue: We do typically offer the standard, FREE ground shipping, on Special Offers or Special type promotions. When we are stating the word SALE, it means that the item can be found on our "SALE, SALE, SALE" page. If we don't offer free shipping for any reason, we will do our very best to let you know as we have done here. International - Yes we do! International orders are surely welcome and very common practice for us! As of January 2012 we have now shipped to over 55 countries and have many regular customers and friends from around the globe. We hope that the information here will help you understand that International orders are really simple. Just a friendly and final note, as we always get asked this question. We simply cannot send items as gifts, as used or personal merchandise, or "samples". Nor can we lie about the cost of the item(s) that we are shipping. This usually happens on international order so that folks can avoid their country's taxes and fees on retail merchandise. This is for many reasons, but primarily because we are an honest, tax paying corporation here in the states and we cannot put ourselves at risk for shipping fraud. Secondly, we have a policy that we simply tell the truth, even if it loses us a sale, period. Thanks for your understanding on this and we apologize that we cannot be more flexible on this but again, it is illegal. **Please, if you have any questions e-mail us or give us a call! 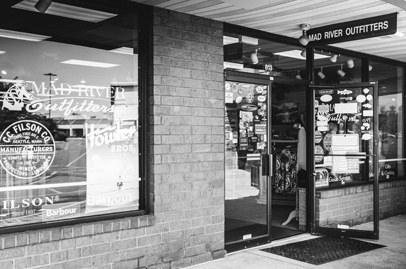 We want your shopping experience to be nothing but positive here at www.madriveroutfitters.com. Almost all reasonable e-mails will be answered within 24 hours and most much more quickly than that! If you don't get a response, try again or call, we do not ignore or delete any e-mail from any customer or potential customer.